What a week! I have several new developments to report as part of my project progress for this week. I will break it down into three parts as there are now multiple strands related to progress on Nashville Sites. As I mentioned in an earlier progress report, I made the decision to separate the class project for HIST694 from the actual project that I hope will go live sometime between August and November 2017. While I started this process wanting to build something that could be developed after the semester, I realized that it would actually be easier to build my digital project for the class and then work to migrate the content into a more desirable (mobile-friendly) customized theme and design layout. In other words, for this class, the content remains most important and so I should spend my time on that while simultaneously working to make the actual final project a reality. This weekend, I’ve spent a great deal of time on the course project and have finally made some headway. I’ve set up the framework for a thematic exhibit with nested pages. I have also decided to use Neatline rather than Curatescape to create my walking tours. After running into several technical glitches with Curatescape, I found that Neatline serves my purposes just as well, although I wish I could find a way to list the walking tours in one of the text boxes on the homepage rather than just a tab. I’ve not yet seen any way to do this, but perhaps there is a workaround. I still have content to add, but I now have my first (of three) walking tours set up and mapped. So where does all this go from here? Following my meeting with Fog Haus, they are working on a bid to design and build the project. I just got off the phone with Tim Walker (MHC director) and continue to have his full support. I am slated to present my project to the MHC Foundation in a week at the quarterly board meeting. So I am anxious to get the bid from Fog Haus and equally anxious to see if the MHC Foundation will/can fund it. As for the course project, now that I have it off the ground I need to continue to build the content as related exhibits, and walking tours. I hope to have more time to do so in the coming days. Click on the image to access the OHMS interview file. 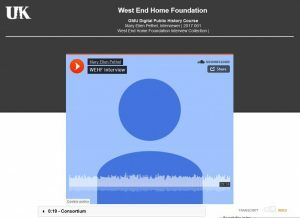 For this activity, I uploaded an interview I did recently with the West End Home Foundation’s Executive Director, Dianne Oliver. The WEHF is a non-profit which funds grants for programs that assist senior services related to elder care and support. From 1891 to 2013 the foundation was also residential, but has now shifted solely to indirect services. They are working with the MHC to erect a historical marker at the site of their original “home” which was razed and replaced by a shopping center (sigh). I created an index tag as part of my attempt to annotate. I used the key word “consortium” — which was part of our conversation about the WEHF’s current work with the state of Tennessee and other agencies outside of Middle Tennessee. Here is another article I found useful, it talks about the experience of UNCG in working with OHMS on a digital oral history project. They have synced and indexed over fifty interviews that are now available with enhanced access through OHMS. The American Folklife Center launched the Occupational Folklore Project (jointly sponsored by the Institute of Museum and Library Services). It engages folklorists, oral historians, librarians, museum professionals, independent scholars, and other researchers according to Nancy Groce and Bertram Lyons. It is an amazing, and amazingly ambitious project that ultimately seeks to engage larger institutions including non-profit organizations, large libraries, and universities. They have divided the project’s online instructions and protocols into two parts: publicly accessible pages on the AFC/LOC website and the custom-designed online catalog IDF template (Interview Data Form). While very specific and detail-oriented, this five-step process might prevent participation because it requires some technical expertise and extensive time beyond just the interview and oral history indexing/transcription itself. Another project that is managed by the American Folklife Center is the Veterans History Project. While the Occupational Folklore Project is still in the beta-stage, the Veterans History Project has achieved success using a slightly different, less technologically sophisticated but more straightforward model. Those interested in participating or conducting an interview simply request a Veterans History Project Interview Kit. There is also an accompanying 15-minute video tutorial (Veterans History Project). In my opinion, the Veterans History Project protocol and process is more appealing and will attract greater participation from the general public. Digital technologies have simplified and complicated the practice of oral history. 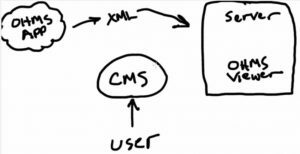 Oral history as part of digital projects is more accessible and user-friendly (for consumers and well as crowdsourcing participants) because of open-source systems and programs such as OHMS. At the same time, incorporating oral history into digital projects adds another layer of technology that must be maintained, updated, and made compatible with the larger project cms or infrastructure. While oral history is not a major focus of Nashville Sites, it could be a consideration down the road. 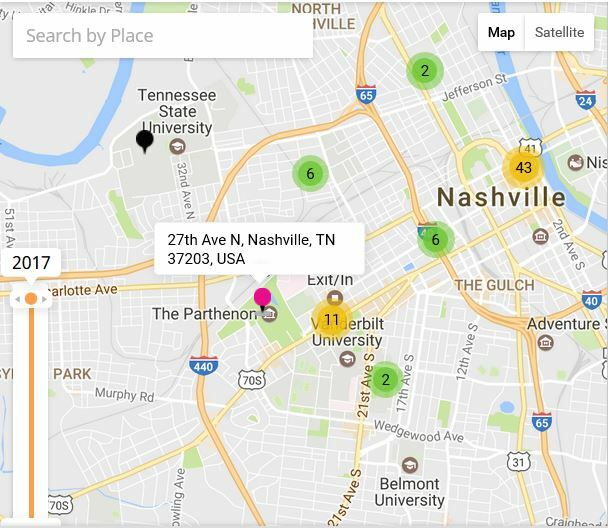 Finding Nashvillians who witnessed a historic event or have family connections to important figures connected to the historical markers could enhance the project. It would also be a way to make the project more attractive and relevant to residents of Nashville (as a target audience). Boyd, Doug. “OHMS: Enhancing Access to Oral History for Free.” Oral History Review 40.1 (2013): 95-106. Published on March 20, 2013. Bertram, Lyons and Nancy Groce. “Designing a National Online Oral History Collecting Initiative.” Oral History Review 40.1 (2013): 54-66. Published March 26, 2013. This was an eye-opening module that forced me to think about the overlap between project sponsored by local history organizations and affinity-group community organizations. As Tammy Gordon notes in “Community Exhibition: History, Identity, and Dialogue”: “Community exhibits are conceived and created by people who have lived the historical subject, who descend from those who lived it, or who identify strongly with the place that was shaped by the heritage being presented.” I surveyed several projects that utilize digital technology sponsored by both types of organizations but will focus briefly on two in order to compare and contrast. According to the project site: “The Ohio History Connection, formerly the Ohio Historical Society, is a statewide history organization with the mission to spark discovery of Ohio’s stories. As a 501(c)(3) nonprofit organization chartered in 1885, the Ohio History Connection carries out history services for Ohio and its citizens focused on preserving and sharing the state’s history. This includes housing the state historic preservation office, the official state archives, local history office and managing more than 50 sites and museums across Ohio” (http://ohiohistory.org). It preserves over 2 million objects and is a large organization with over 180 staff members and over 13 full-time director-level positions. It offers and manages physical locations and in-person programming as well as collections, exhibits, and educational resources available online. Its goals are to be inclusive, relevant, and collaborative for all Ohioans and to protect (stewardship) and represent (authenticity) the state’s diverse history. While the history presented can be personal and connected to specific groups or theme, the Ohio History Connection is more purposefully broad as the state’s main arbiter of local histories throughout the state. The Postville Project: Documenting a Community in Transition, works to collect, preserve, and present the stories and materials related to the community of Postville, Iowa before, during and after the 2008 immigration raid at the Agriprocessors meatpacking plant (http://postvilleproject.org). It is sponsored by two institutions of higher education: Luther College and the University of Northern Iowa. The project utilizes crowdsourcing, which allows users to contribute materials, and the site also provide primary sources, organized by thematic collections, for scholars and the general public alike. It is well organized, maintained, and in addition to collections and exhibits there is also a curriculum guide for educators. The project is focused on documenting and preserving a deeply personal event for many, but it also provides an important case study for scholars interested in labor history, immigration, food production, government, and other interdisciplinary studies. Other group-affinity projects surveyed included. These materials have affected the way I think about my project. I have to remember that my project, focused on historical markers must satisfy the needs of two audiences: 1) Nashville audience who has a vested interest in the version of “their story” being presented and 2) Visitors who are curious in learning more and understanding Nashville as a southern city known for its schools, hospitals, unique role in the Civil War, music, food, and famous citizens. I need to make sure that I organize and present my exhibits so that both audiences can understand the significance of each site from the initial record or dig deeper if they so choose. As Lauren Gutterman reminds us (“OutHistory.org: An Experiment in LGBTQ Community History-Making), “Although the medium is digital history, the purpose is public.” This statement is simple but powerful and will guide my work over the course of the next two weeks. Gordon, Tammy. “Community Exhibition: History, Identity, and Dialogue.” In Private History in Public: Exhibition and the Settings of Everyday Life, 33-57. Lanham: AltaMira Press, 2010. Gutterman, Lauren. “OutHistory.org: An Experiment in LGBTQ Community History-Making.” The Public Historian 32.4 (2010). Here are three projects with similarities to the proposed goals and working strategy of Nashville Sites. For some the web presence is great, for others pretty bad. There is an even wider range when considering metadata, scholarship, and sponsors. If anything, these reveal that such projects are desirable but the planning, execution, design/layout (to be mobile and desktop friendly), navigation, and overall usability remain key. Also key is reaching the intended audience. It is managed through a local heritage non-profit. They use WordPress and include audio clips. No meta data. This was funded by a state grant and administered by the Planning Department of the city. It had two components: markers and QR codes going up on buildings; and the website that hosts the digital content. The markers are beautiful, the site is…not. No meta data, very hard to navigate. Funded and managed by the Public Affairs division of the University. The QR codes are attached to the posts in some way (I’m waiting on an email back from Joel Steinfeldt, the social media/site manager who put up the QR codes, to see how they are attached). Site has audio/video clips, no meta data. As encouraged by Dr. Leon, I need to develop five items to answer an inquiry question for each exhibit. I also need to figure out how to created “nested pages” within the exhibit builder to develop content. I also need to carve out some designated “work days” for this project so that I can consider what kinds of strategic framing I plan to use for content to attract users and to entice them to explore the full depth of the exhibits. I have a manuscript due on April 3 for a traditional writing project for a local nonprofit organization here in Nashville. I have been working on it since August, and despite my best efforts, I am a bit double booked until I can put the writing project to bed. The good news is that the light is bright at the end of the tunnel. At that time, I will be able to devote much more time to Nashville Sites. Thank goodness for flex modules! I had two very productive meetings this week related to my Nashville Sites project. The first was with Tim Walker and Jessica Reeves who both work for the Metro Historical Commission (MHC) in Nashville. The MHC is the local government agency here in Nashville who is partnering and sponsoring the project. We were joined in the meeting by Nicholas Lorenson who is one of the lead administrators for Code Nashville. We discussed the project goals, looked at several examples, and discussed strategy, audience, site layout, function, and deadlines. As part of our discussions we explored several options. 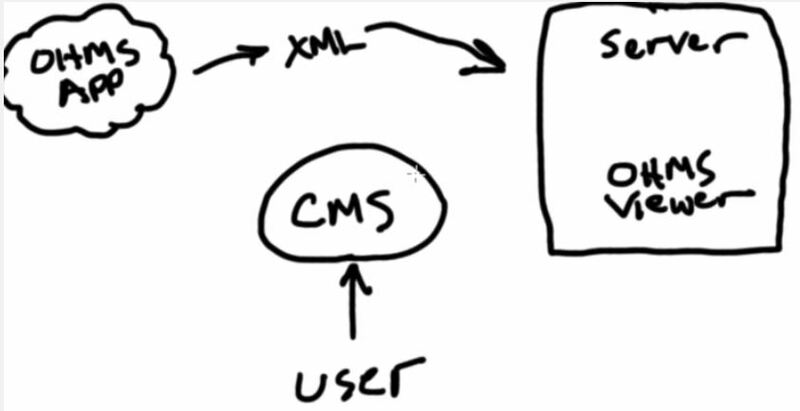 One option is to move away from Omeka and to use WordPress instead. I was concerned (as were Tim and Jessica) about the ability to use Dublin Core so that the project can maintain its scholarship and metadata components. Nicholas discovered that there is a Dublin Core plug-in for WordPress. I am not sure of the final outcome, and this week Mr. Lorenson is going to “look under the hood” at the project as it exists currently in Omeka and make recommendations about next steps. One reason to move from Omeka to WordPress is that it is much easier to find and receive technical support from Code Nashville (or other tech subcontractors). Omeka is far less common outside of the public history or digital humanities world. It might also be easier to maintain if long term control falls to the MHC. We agreed to meet again in the next two weeks. The second meeting was with the marketing committee for the Metro Historical Commission Foundation (MHCF). The MHCF is a 501(c)(3) that raises money and awareness for MHC projects that need funding/support beyond the appropriated MHC budget, which is based on taxpayer dollars. I presented my project to the committee, it was approved and I was encouraged to write up a short grant proposal for funding. I was also asked to present the project at the next MHCF meeting on 4/14. So while it was a productive week, I don’t yet have much to show for it and the project site itself is largely as it was last week. This week I hope to shore up some of the inconsistencies of my Dublin Core records and further develop the exhibit. I have decided one thing for sure: I plan to stick with Omeka for my class project. While I think this project will eventually migrate to WordPress, I will continue to work within the Berlin default theme. It will not look as good, but the content is what matters for this course, and that is my top priority in the short term. These articles helped me to brainstorm when thinking about nashvillesites.org. For me, the readings in Module Four stressed the solid building blocks needed at the outset of any digital project. This Module’s readings emphasized the need to thoughtfully define, outline, and plan digital history projects with a clear audience, purpose, and goal. In writing and revising two personas I am much more focused on the types of people I hope to engage through my project and this will guide the project’s development going forward. In gathering and posting 15 items and organizing them into a collection via Omeka was done with these factors (audience, data, sources, interface) in mind. It is important to remember that without a general audience, public history is limited to a small group of creators and scholars. In order to attract a general audience, a digital project must have a compelling narrative. This was the focus of Module Five. As Steven Lubar writes in “Curator Rules,” project creators and managers should also remember that users are “thinking beings.” As a digital humanist creating a digital story, I will need to carefully balance content with curation; information that is as entertaining as it is educational. 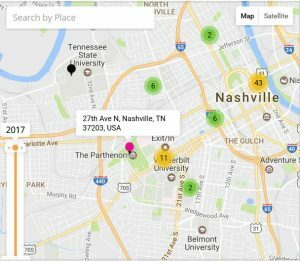 This can be accomplished through a deliberate and consistent effort to synthesize content and create a narrative interpretation of historical markers in the downtown Nashville area. As Suzanne Fischer notes in “Developing your Synthetic Powers,” synthesis is key to a successful project that engages a wide audience. Fischer writes, “In your source-gathering, seek patterns. . . read and reach out widely and know your constraints.” Fischer concludes that what is of interest to the historian creating the project is likely of interest to the project’s potential audience. She concludes, “Latch onto what interests you. . . .If you can’t stop thinking about a story you heard, it probably belongs in the project.” In Eavesdropping at the Well, Richard Rabinowitz reminds us that as historians we must move from exhibits to narratives and from narratives to experiences. His and other articles focus on the importance of storyboarding, prototyping, visual/spatial design. Activities and readings in this module forced me to move beyond the data/content and to consider how best to use the selected interface in a way that can provide a narrative and cross-references to other site features. The ways in which I design and organize the site’s features will be a major part of whether or not this project is a success in terms of 1- attracting and engaging a general audience and 2- providing an exhibit/narrative experience 3- building content that meets scholarly standards. This is where I have run into a bit of a wall. I have worked to implement the National Mall Theme, developed by our very own Dr. Sharon Leon and initially installed the Exhibit Builder. The box for exhibits was visible and operating fine until last night when I was adding my last item. I’ve uninstalled and reinstalled, tried different versions, and nothing is working. I’m perplexed because it was there, and it seems as if there was a problem it would not have installed and shown on the homepage to begin with. I really like the theme and layout and want to keep it, so I hope I can find a work around. I don’t have the technical skills to rebuild the custom theme in Omeka 3.0. I wonder if I could just revert to an older version of Omeka? I hope I can figure this out by March 20 when the activity for building an exhibit is due.